Hey BAYOG Fam! It’s a webtoon post today! 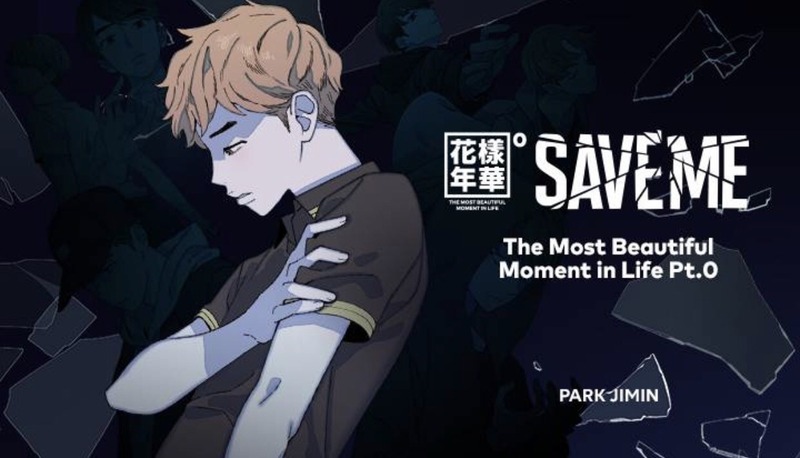 If you haven’t heard, earlier this week, Naver/LINE Webtoons suddenly dropped a webtoon series called “Save Me”. It is an official webtoon from the K-pop group BTS. It is part of the BTS Universe Narrative and follows the alternate universe from their music videos and short videos. 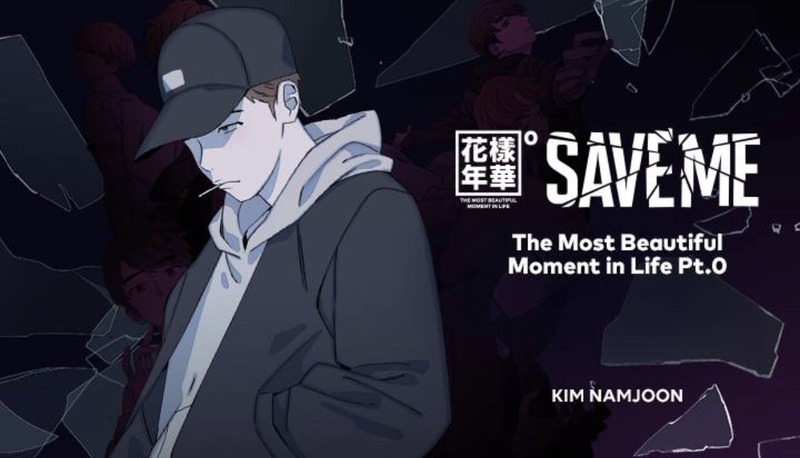 The webtoon was released January 2019 from Big Hit Entertainment (BTS’ entertainment label) and LICO through LINE/Naver Webtoons. You can find the webtoon [HERE]. Before I get into the webtoon though, let’s clear some things up. First off, we’ve made it clear that I’m a hella basic Asian chick, yeah? I love my boba, my Asian music (C-Pop, K-Pop, J-Pop, etc), Sanrio, anything cute, anime, and my dramas and movies. Been this way for as long as I can remember. Cool. Also let me make it clear: I don’t really consider myself an ARMY (BTS’ official fanclub). Says the girl who plays BTS SuperStar, has BTS stickers on her laptop, owns BT21 Face Masks, VT x BTS products, and all of the Love Yourself albums…. I’m a fan of BTS, but wouldn’t go as far as to consider myself ARMY is all. Anway, I do enjoy their music. I also appreciate their dedication, effort, as well as the positivity they try to spread through their actions and music. Again, the whole concept is that it takes place in a fictional alternate universe that goes along with BTS’ music videos and short videos. More specifically based on their 화양연화 (Hwa Yeong Yeon Hwa), or The Most Beautiful Moment in Life mini-albums. The albums were released in 2015-2016. 화양연화 Part 1 was released at the end of April 2015. 화양연화 Part 2 was released at the end of November 2015. Lastly, the repacked compilation of the two was released May 2016 as 화양연화 : Young Forever. I’m pretty sure it follows alot of the later songs and albums as well. 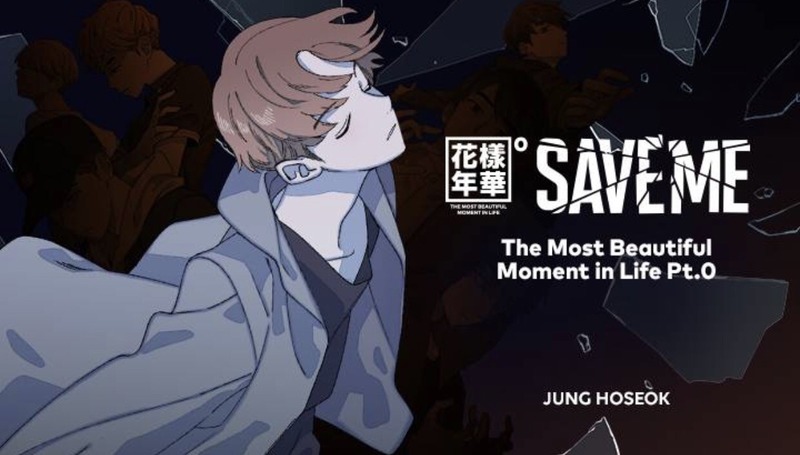 However, the influence of HYYH is pretty obvious, even in the webtoon title’s styling. 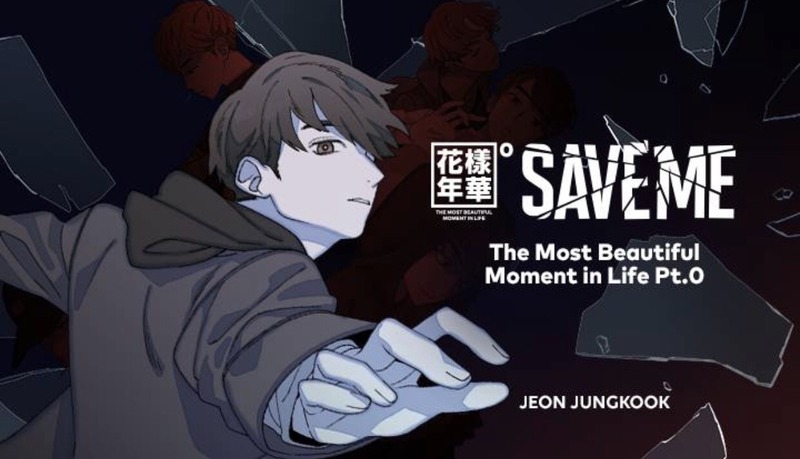 Also the official title is Save Me: The Most Beautiful Moment in Life Part 0. Basically in the webtoon Kim Seok Jin (Jin) returns to Korea. When he was in school he had 6 close friends: Kim NamJoon (RM, formerly Rap Monster or RapMon), Jeon JungKook (JungKook), Min YoonGi (Suga), Jung HoSeok (J-Hope), Kim TaeHyung (V), and Park JiMin (JiMin). They haven’t been in touch though. Upon his return Jin catches some glimpses of his friends. However, tragic events strike. Jin wishes he could go back in time and maybe, just maybe, he could change everything. He gets his wish as he finds himself reliving the same day over and over again, until he can save his friends. I know alot of people were excited for this webtoon. Fans have been trying to come up with theories for the BTS Universe for years. This is definitely something for the BTS fans. It’s definitely more enjoyable if you’ve watched the videos as well. Because you’ll definitely recognize certain scenes from certain music videos like “I Need U”, “Run”, as well as the HYYH Prologue video that I posted above. Anyway…I’ve mentioned I’m a hella basic Asian chick and K-Pop trash. I’m old school K-Pop trash too. Y’all I’ve been K-Pop trash since S.E.S., Se7en, 1TYM, BoA, DBSK, Fly to the Sky kind of days. I was around during the OG YG Family. I’ve been into K-Pop and K-Dramas since like 2001-2002. I’m thankful to them though. It’s how I made alot of friends in college haha. However, I found myself kinda slowly fading out of it as I got older. Basically around the time when BTS debuted. I heard of them, but by that point I was starting to not pay attention to the groups anymore. I just kinda felt like I was growing out of fan-girling…also it was hard keeping up with all the new groups. It was a time where I was shifting more towards K-Indie, K-R&B, and underground K-Hip-Hop. I did hear and enjoy “Dope (쩔어)” from 화양연화 Part 1 and “Butterfly” from 화양연화 Part 2 when they first dropped. However, it wasn’t a point where I was actively listening to BTS or learning about them. I didn’t even see the videos. It wasn’t until “Save Me” that I started to really listen to them and take the time to learn about them. To be honest, I was actively avoiding trying to learn about them. Again, I was trying to get out of the whole fan-girling thing. However, I had a friend who was obsessed with them. She would constantly post about them, and ended up running a fan site for NamJoon [Shameless Plug for my friend~]. So I was l like, “Fine, let me see who these kids are and what they’re about.” Confession: I didn’t find the boys all that attractive at first. Not that they were bad looking. I was just like, “Okay.” However, I really did enjoy their music. I was still actively trying not to learn too much about them though. I didn’t want to fall down that rabbit hole. Welp, here I am…able to name all the members now, owning several versions of their albums, BTS stickers on my laptop, owning other merch, and constantly playing BTS SuperStar. I don’t have a problem. Nope. Seriously though, I enjoy the messages in their projects. It takes alot of time and effort to do what they do. I write lyrics, and that takes a lot of thought, time, and effort. These guys literally write and produce their own music. NamJoon is a literal genius with an incredibly high IQ. He taught himself to speak English pretty fluently for a non-native speaker by watching Friends. Their label, Big Hit Entertainment, has the motto: Music & Artist for healing. And it’s true. Yes, they’re a pop boyband. However, they do convey alot of meaning in their craft and actions. I think it’s also amazing how genuine they seem to be. I don’t think I’ve ever come across celebrities who interact and show as much love towards their fans as they do. It really surprised me. Everyone who’s met them only sing praises of how kind and humble they are. They were the underdogs from a small company (one that for a while, faced some troubles). Yet, they stood out and dominated. Remember my friend who runs a fan site? Before gifts from fans were prohibited, she once sent a shirt and a bunch of hand-folded crab origami to NamJoon for his birthday. Later, she went to a fan meet to meet them.She was nervous and could only say something like “crabs” to NamJoon. He instantly knew though. He lit up and thanked her. I think that’s such a kind thing. I get it. Some people aren’t fans of BTS because they find some of their fans annoying. However, I’ve seen lots of positive things from their fans too. Every single fandom has some annoying fans. Be it fandoms in K-Pop, anime, games, etc. I get people are tired of K-Pop. I’ll admit, that it’s become incredibly over-saturated. However, I still appreciate their achievements. Being an idol isn’t easy. From the rigorous training/competition to get into a company and debut, constant practice, crazy schedules…and you’re not even guaranteed success. Rather than thinking “Ew K-Pop”, I just think of music and music. You like it, you like it. You don’t, then you don’t. Still, I appreciate the effort and wish them their best life. For me BTS just stands out because their emphasis on spreading positive messages to a wide audience. I think it’s great that they’re aware of the impact and influence they have, and that they’re trying to use it in a positive and uplifting way. I’ve been more open about my mental struggles. Honestly, BTS and their music has really helped me cope with alot of things. They also taught me important things and reminded me about some important things. I hated myself for a long time. Like truly hated myself. I don’t think very positively of myself at all. However, BTS has reminded me that I need to try to love myself…even if it’s little by little.